Matt Harvey’s long-awaited MLB debut for the New York Mets Thursday night was everything it was expected to be – and much more. 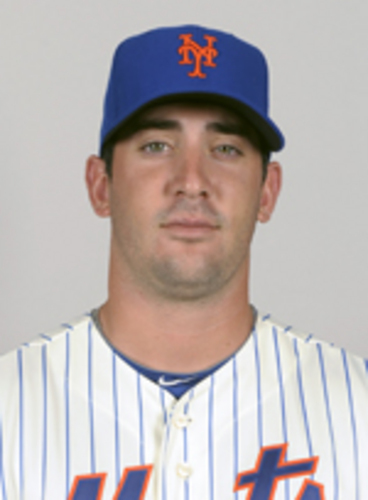 The former Chatham Angler (2008 & 2009) struck out 11 in 5.1 innings and went 2-for-2 at the plate in a record-shattering performance as the Mets snapped a six-game losing streak with a 3-1 win over the Arizona Diamondbacks. Harvey, the Mets’ top selection in the 2010 draft, set a franchise record for strikeouts in a debut with 11, surpassing Bill Denehy and Tom Seaver (9 each). He threw a total of 106 pitches – 65 for strikes – and allowed only three hits -- a one-out single by Aaron Hill (Wareham, 2001), a single by Jason Kubel and Miguel Montero’s double. Only one D-Back reached third, Gerardo Parra, who raced to first on a wild pitch after striking out. Harvey, 24, also doubled and singled to become the first pitcher since 1900 to strike out more than 10 and collect two hits in his first MLB game. And he became the first Met pitcher to get a pair of hits in his debut since David West on Sept. 24, 1988. Baseball America rated Harvey the No. 3 prospect in the Cape League in 2008 when he was 1-1 with a 0.83 ERA and struck out 29 in 21.2 innings for Chatham. He was coming off a 7-2, 2.79 record at the University of North Carolina, where he earned freshman All-America honors and played in the College World Series. As a Tar Heel sophomore, Harvey once again went 7-2, but his ERA ballooned to 5.40, third worst on the staff. He struck out 81 in 75 innings but walked 42. Returning to Chatham, his inconsistency continued as he went 0-2 with a 6.00 ERA in 2009. He struck out 16 and walked 11 in 18 innings of work. Harvey rebounded in his junior year, earning first-team All-ACC honors, the only UNC player picked that season. He was 7-3 with a 3.10 ERA and struck out 93 in 90 innings. The Mets liked what they saw and took him with the seventh pick in the first round of the 2010 amateur draft. He received a signing bonus of $2.5 million. Harvey’s pro debut was impressive. He struck out nine in five shutout innings on Opening Day 2011 for the Class A St. Lucie Mets, beating the Palm Beach Cardinals and fellow first-round pick Shelby Miller. He was 8-2 with a 2.37 ERA and 92 strikeouts in 76 innings against Florida State League competition when he was promoted to Binghamton in the Double-A Eastern League. There, he went 5-3, 4.53, and fanned 64 in 59.2 innings. His first-season minor league totals of 13-5, 3.32 ERA and 156 K’s in 135.2 innings earned him a ticket to Triple-A Buffalo to start the 2012 campaign. He was 7-5 with a 3.68 ERA for the Bisons and had been named to the International League Mid-Season All-Star Team when the Mets called him up on Monday. Harvey is the second prominent member of the 2008 Chatham A’s to make his MLB debut this season. On May 17, Brazilian-born Yan Gomes broke in with Toronto. The versatile Gomes has become a valuable utility player for the Blue Jays, seeing action at first, third and the outfield, even working behind the plate for three games. Despite a .196 batting average in his first 20 MLB games, Gomes has hit three home runs and collected 10 RBIs. Gomes was Toronto’s 10th-round selection in the 2009 draft. The Boston Red Sox had drafted him in the 39th round the previous year, but he opted to play instead for the University of Tennessee.